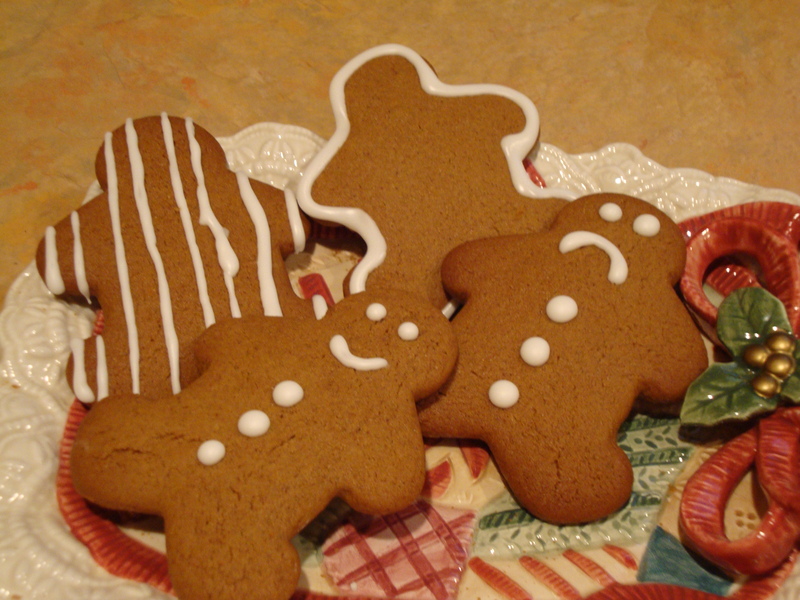 While ginger itself originates from Asia, gingerbread may have been introduced to Western Europe by 11th-century crusaders returning from the eastern Mediterranean. A favorite at medieval European festivals and fairs to our table around the holidays, gingerbread is a warm, spicy treat, whose scent invites childhood nostalgia of the cozy great indoors protecting us from the cold and miserable outdoors. 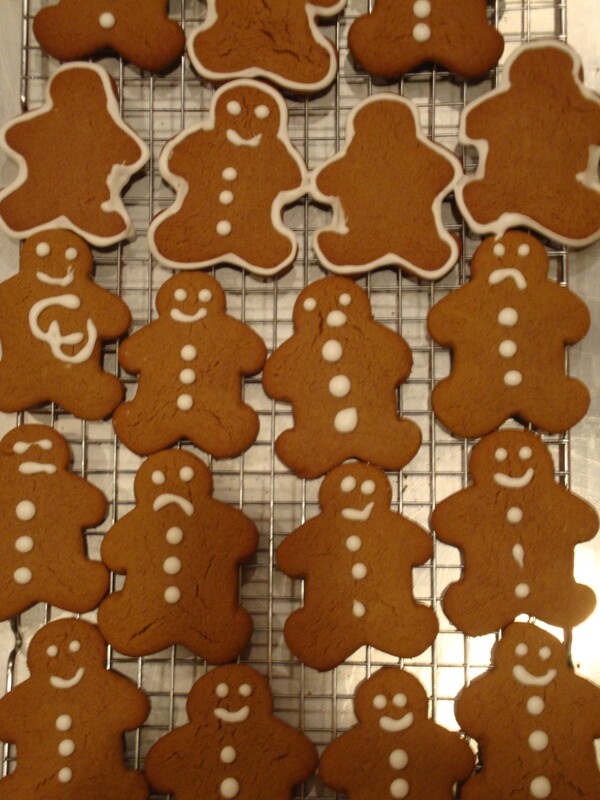 Gingerbread is not just for children. According to “The Gingerbread Book” by sugarcraft scholar Steven Stellingwerf, “… medieval ladies often gave their favorite knights a piece of gingerbread for good luck in a tournament, or superstitiously ate a “gingerbread husband” to improve their chances of landing the real thing.” Take that Cosmo, and your 1 million + ways to please or get a man. Whisk flour, salt, baking soda and spices together in a large bowl. Cream butter and sugar until light and fluffy using an electric mixer. Tip: instead of waiting forever to soften butter to room temperature, heat in microwave at 15 second intervals until a soft finger imprint is left of the stick of butter. Add egg and molasses to butter and sugar. Beat until well combined. Tip: to keep molasses from sticking, first spray cup with non-stick cooking spray. Gradually add the flour/spice mixture using half cup increments until combined. Divide dough into two halves, wrapped in plastic wrap. Refrigerate at least 2 hours or overnight. Preheat oven to 350 degrees F and place wrack in the center of oven ( 325 degrees F if using a convection oven and place wrack on the second tier of oven). Line 2 baking sheets with parchments paper. Cut off 2 more large sheets of parchment paper, lightly flouring one. Place one half of the dough on floured parchment paper, and place the second piece of parchment paper over the dough. Using a rolling pin, roll out the dough until no thinner than 1/4 inch thickness ( for softer, doughy cookies, roll out to more than 1/4 inch thickness. For crispier cookies, roll out to 1/4 inch). Peel off top layer of parchment paper. Using a floured cookie cutter (gingerbread man shape, of course! ), cut out cookies and transfer to baking sheet using a flat spatula, placed about 1 inch apart. Bake 8-12 minutes ( or 8-10 minutes in a convection oven), until edges are firm and top just begins to brown. Remove cookies from oven and cool on baking sheet for just 1 minute. Transfer to wire cooling rack. Cool completely.